It’s been a while since my last post so I thought I would put up a brief update on my nice weekend. 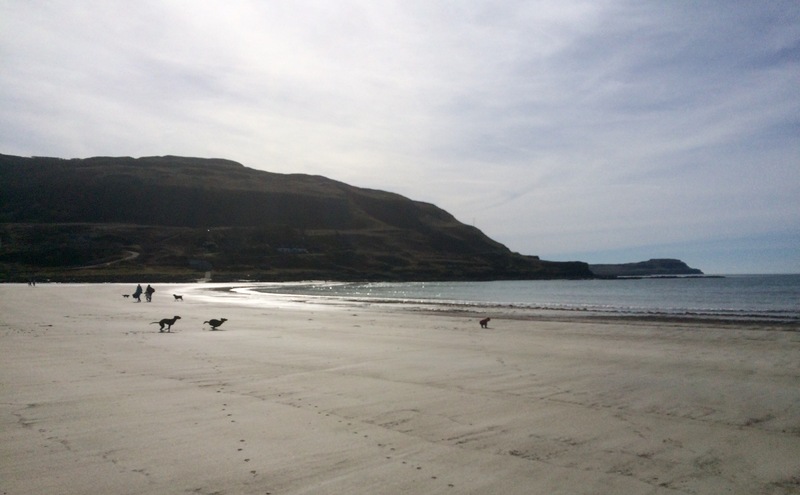 We had the first properly warm weather of the year. 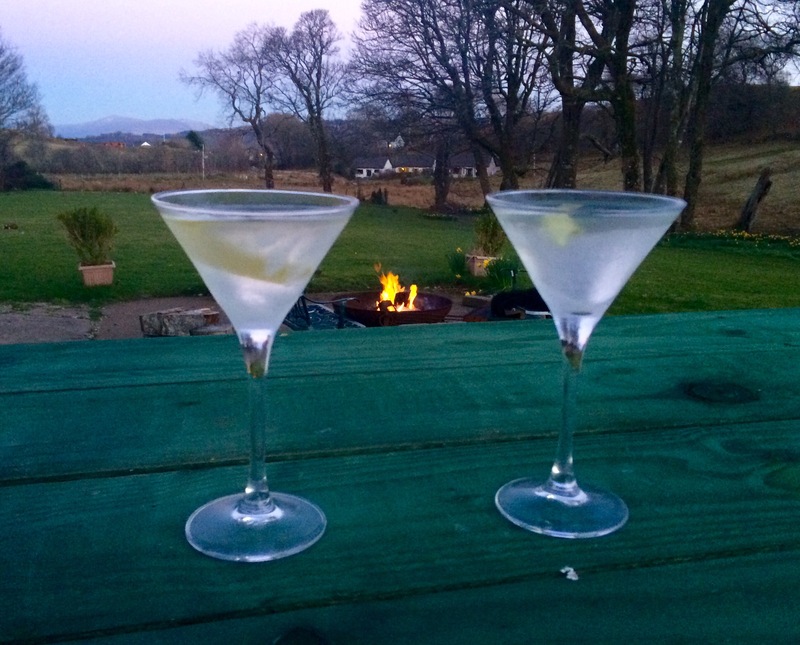 It was warm enough to light the garden fire pit and have a martini outside before dinner. 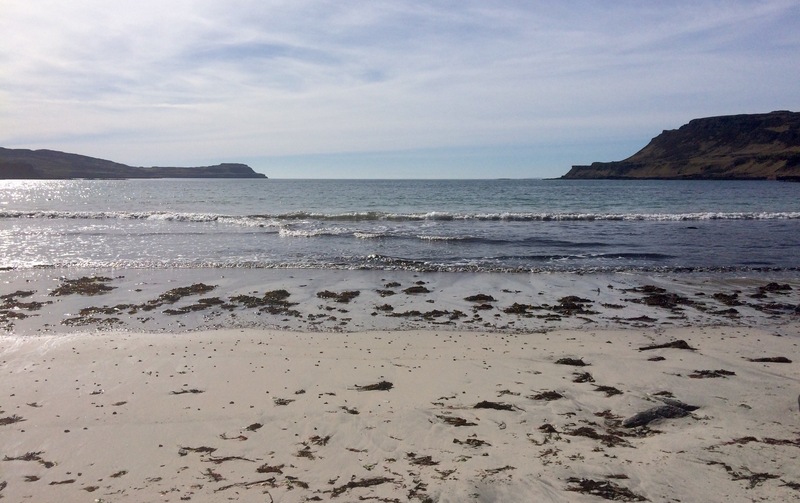 We also got the chance to go to Calgary beach. 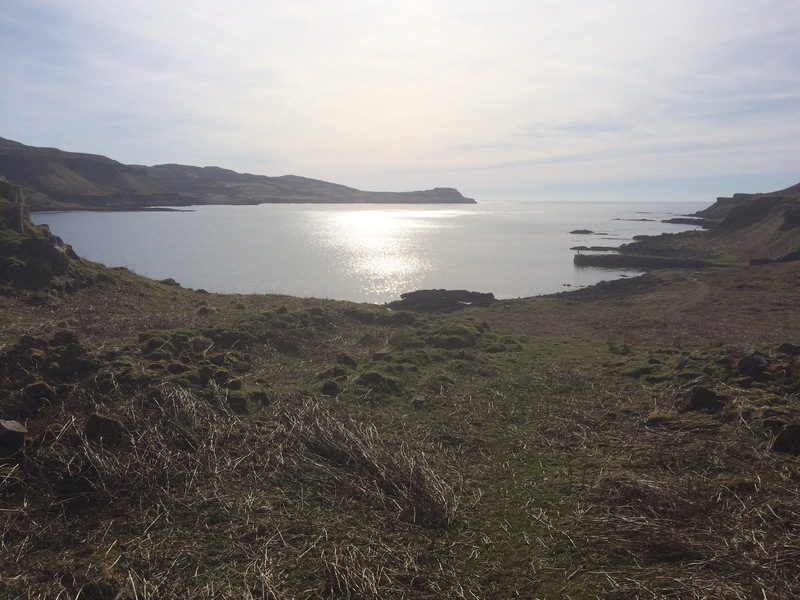 Canadians take note – this was where many islanders took the boat west to settle on your shores during the Highland Clearances. These images are actually taken from the ruins of one of the abandoned settlements. Evidently those who once lived here and moved to the New World named one of the more successful Canadian settlements after the bay. Calgary in Alberta has since grown to a much larger size than the original! 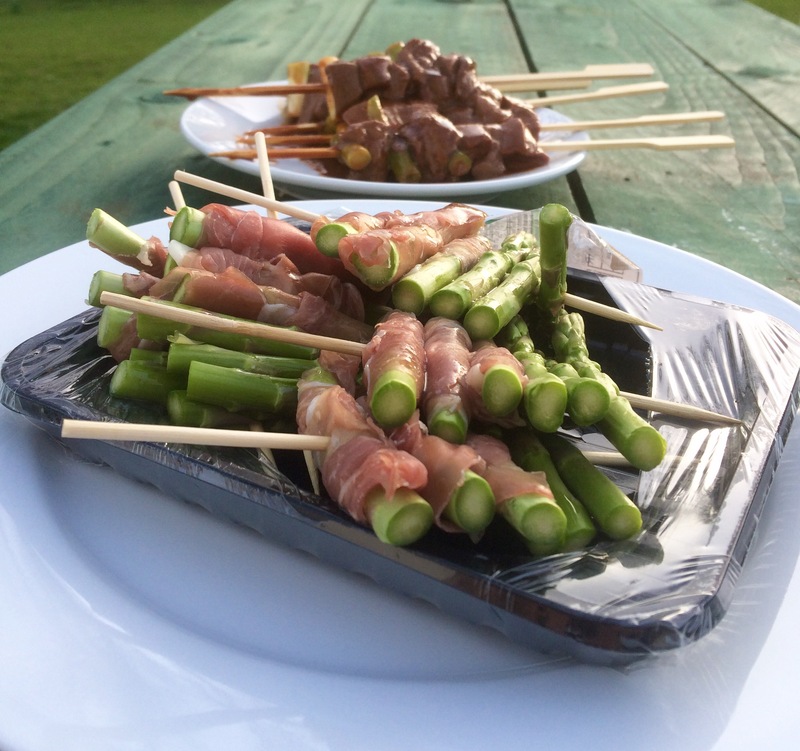 On returning home I prepared some izakaya-style skewers for the barbecue. 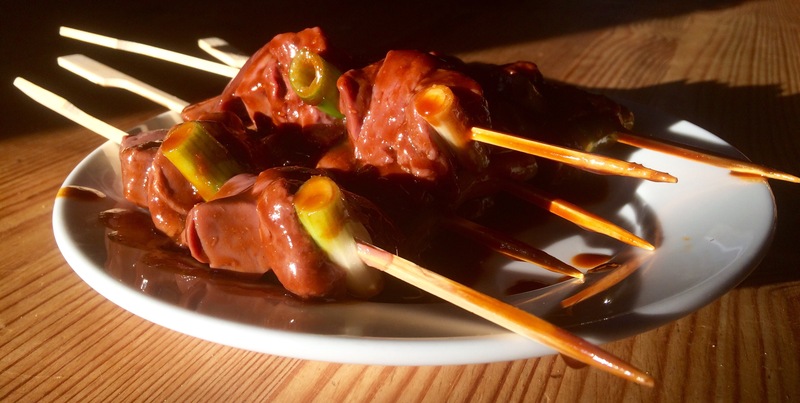 The above is lamb liver with spring onion, dipped in a sweet soy glaze with garlic and vermouth. Grilled for about 4-5 minutes on each side they went well with a drink, although I need to practise my barbecue skills. 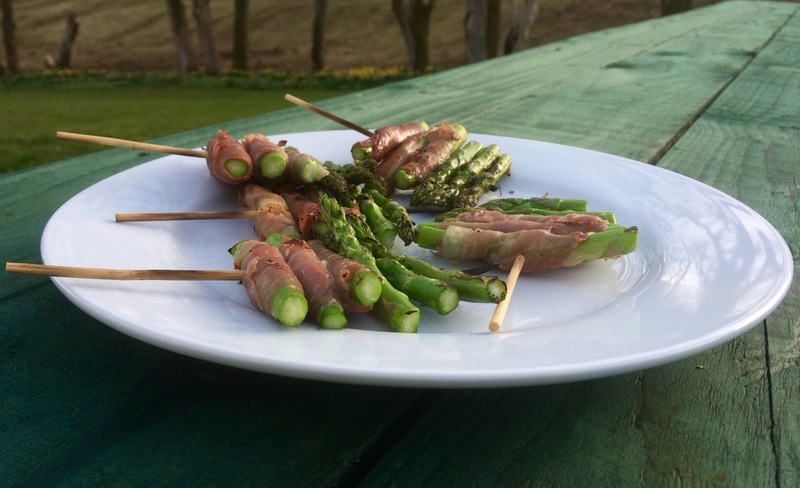 I also wrapped asparagus with prosciutto and grilled for about 2 minutes on each side. After that it was time for drinks. 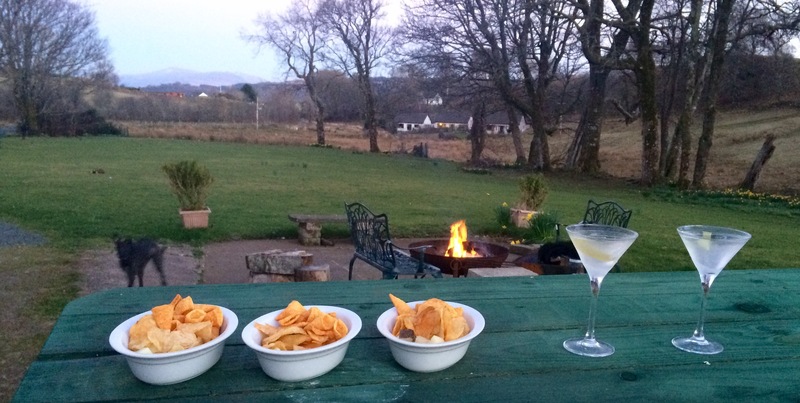 And our first sunset of the year enjoyed from the garden.